Knitting for charity is a lovely thing to do and I'd like to give you some thoughts and ideas about what you need to know and how to get started with it. For someone in need, there is nothing more comforting than receiving something warm and cozy. It offers comfort, warmth and hope. When I stayed at a shelter for abused women they gave me a lovely warm blanket that I still cherish. For me it was the beginning of a new life. The blanket was as new as me starting over. You see most women and children that come into shelters have left all their belongings behind. Having something warm and something of their own means everything at that point. It did for me. Knitting for charity can be relatively easy to do in one way. For instance my friend Marc is knitting up hats throughout the year and when he has made a bunch he's going to take them downtown and hand them out to people who need them. While it's easy enough to do charity knitting on your own like Marc is doing, there are some other things you can do to get involved as well. To start with, call some local homeless shelters, shelters for abused women and children, local hospitals, cancer centers and churches. Ask if there is a need for knitted items. They will probably be able to put you in touch with someone that can help you get started. If you're interested in animal charities, phone some local animal shelters and see if they have a need for knitted items. You can even check out the wildlife shelters as well. And if you want to look into knitting charities a little further do a Google search for something like "knitting for charity" or "knitting charity" and see what you come up with. 1. Just like many other things in life, please do your due diligence with knitting charities and research them a bit before you choose which organization to support. 2. Make sure that your knitting is truly going to help someone. I know this may sound silly but please ask questions. Maybe they won't be as interested in knitted items or maybe they'd prefer a cash donation. 3. Check out the charity's web page and make sure to read all the guidelines. Know exactly what they're asking for. If they would like knitted items then know exactly what you will be knitting. And is it something you will enjoy knitting? 4. Find out what type of yarns they want you to use. This is very important. Some may be more specific than others. Usually the yarns are cotton or acrylic, very soft and washable but do check to be sure. I hope this helps you a little. Knitting charities like all charities tug at the heart strings so much and I'm right there too. I really understand the need so much. However I've also learned that you need to be very careful even with knitting charities. I'm listing four knitting charities that do accept knitted and crocheted items. I know there are many more wonderful charities out there. Now that you have some information you will be able to select whatever knitting for charity organization suits you. Knit a Square or KAS is a lovely community of knitters and crocheters who knit or crochet 8 inch squares that are made into blankets for the South African AIDS orphans. Their aim is to provide warmth and comfort to orphaned, abused or abandoned children. 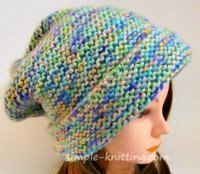 You will find patterns on their website for knitting, crocheting and sewing. This wonderful organization is made up of volunteer knitters and crocheters. They knit prosthesis for breast cancer survivors as well as for women undergoing breast reconstruction. Please check out their website for guidelines and patterns. 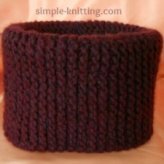 I found more knitting patterns on the US site including a pattern for straight needles so do check both sites. 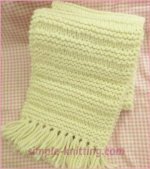 Knit small blankets (Snuggles) for cats and dogs in animal shelters. This knitting charity provides comfort and warmth to animals in shelters by making small blankets. Each blanket is put on the floors of the pens helping the animals stay warm and comforted while they wait to be adopted. You'll find many patterns on the site for knitting, crocheting, sewing and quilting these little blankets. This is another great knitting for charity organization that provides warmth and comfort to children who are seriously ill or traumatized by giving them handmade blankets and quilts. There are many patterns on their website. 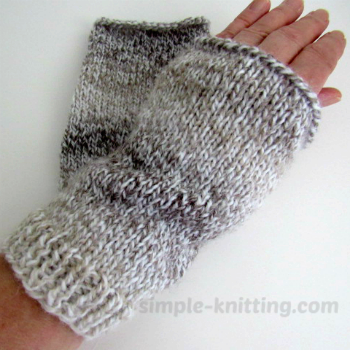 These are wonderfully fast and simple knitting patterns for charity knitting. You may also enjoy checking out the rest of my easy knitting patterns. I hope you enjoy knitting for charity. A heartfelt thank you goes out to all of you who give from the heart to those who desperately need a helping hand.